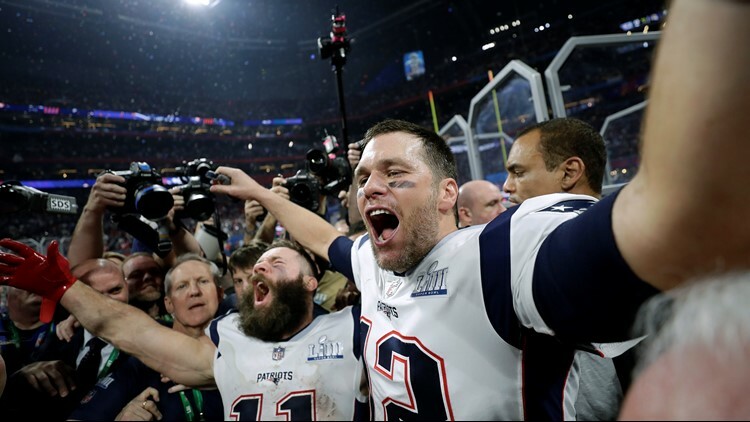 Tom Brady and Julian Edelman celebrate the sixth Super Bowl win in franchise history. As a self-professed football purist Tim McNiff probably wasn’t as bored or bothered as most by the Patriots 13-3 win over the Rams. That being said, he feels the whole Super Bowl thing really feels like it’s been played-out. I’m not talking about just what happens on the field, either. As a self-professed football purist I probably wasn’t as bored or bothered as most by the Patriots 13-3 win over the Rams. That being said, the whole Super Bowl thing really feels like it’s been played-out. Seriously, was there anything about the past week leading up to the game that actually had you interested? We had the Belichick-Brady storyline, but the unwillingness of New Orleans Saints fans to get over their controversial loss to the Rams in the NFC Championship was actually more interesting than the lead-up to the game itself. I actually thought everything got off to a surprisingly strong start when YouTube sensations Chloe and Halle (who are apparently under the guidance of Beyonce') did the Queen B proud with their unique and moving rendition of ‘America The Beautiful.’ Then the ageless and historically underappreciated Gladys Knight came out and CRUSHED the National Anthem. If only we could have just kept the music going and bypassed the football. Pairing my personal observations with the real-time posts on Twitter, people generally seemed to be underwhelmed by the commercials and the halftime show this year, which left us with football. If I had stayed inside to watch THAT game on a beautiful Sunday afternoon in October I would have been upset with myself for the rest of the week. Sure, I’ve seen worse Super Bowls... but in most I was super-invested, and the Vikings always got blown-out. Even Super Bowl IX, which the Vikings lost 16-6 to the Pittsburgh Steelers, wasn’t really as close as that final score would lead you to believe. The only two groups who could have possibly been happy about how Sunday’s game played-out were Patriot fans, and those who bet the under, which as of Saturday afternoon was standing at 56-points. What shouldn’t be lost in the mind-numbing malaise caused by watching the first three and a half quarters of Sunday’s contest are two big things: We may have witnessed Bill Belichick’s finest coaching performance, and Julian Edelman is the walking embodiment of why the Patriots franchise has been to nine Super Bowls... and won six of them. Bill Belichick proved age and wisdom count for something, as he thoroughly out-coached young gun Sean McVeigh in leading the Patriots to a 13-3 Super Bowl win. In becoming the oldest Head Coach to win a Super Bowl at 66, Belichick took a defense with one All-Pro player and completely shut-down one of the NFL’s best offenses. Everybody asks Tom Brady when he’s going to hang it up but nobody ever asks that question of Belichick, who proved once again he’s the best there’s ever been... especially when he’s given an extra week to prepare. 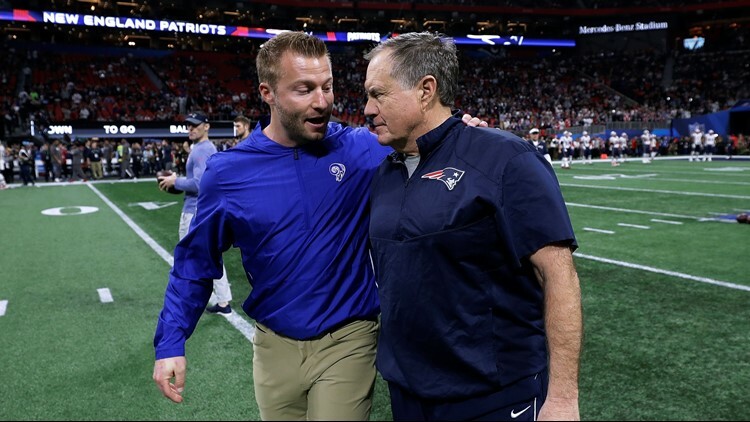 Mixing schemes, coverages and blitz packages Belichick boxed the ears of precocious Sean McVay, who at 33 was trying to become the youngest head coach to ever win a Super Bowl. As a matter of fact, had it not been for another senior citizen, the Rams wouldn’t have still had a shot to win the game late in the 4th quarter. L.A. Defensive Coordinator Wade Phillips, five year older than Belichick at 71, was at his best, constantly fooling Tom Brady into thinking he was looking at zone coverage when in fact the Rams were in man-to-man (and vice-versa). But with the game on the line Tom Brady remembered he was Tom Brady, and went 4-for-4 on the drive that netted the Pats the game’s only touchdown. The only way the Pats scoring drive could have been any better would have been if Julian Edelman had scored the TD. Edelman missed the entire 2017 season with a torn ACL, and the first 4-games of the 2018 season to a suspension for violating the league’s policy against performance enhancing drugs. Edelman appealed the suspension but was denied. When people question how the Patriots are able to win year after year, they should look no further than Edelman. As a high school quarterback, Edelman led his team to a 13-0 record while passing for 29 touchdowns and rushing for 13 more. It was a stat line that garnered the smallish athlete exactly zero scholarship offers. After a year at football power The College of San Mateo, where he passed for 1,312-yards and 14 touchdowns while rushing for a school-record 1,253 yards and 17 TD’s, Edelman left for Kent State University. There he was a 3-year starter. It wasn't enough to get Edelman invited to the combine, but the Patriots held private workouts with the Kent State QB and watched him run the short shuttle drill in 4.01 seconds at his pro day. The fastest time at the combine was 4.03. So, while the Vikings took the talented but mercurial Percy Harvin in the first round of the draft that year, the Pats quietly selected Edelman with the 27th pick in the 7th and final round. He signed a 4-year contract with a signing bonus of just over $48 thousand dollars. If you recall, Edelman was not supposed to be the Pats' top wideout this season. New England acquired troubled outside WR Josh Gordon from the Cleveland Browns in mid-September. Gordon had 40 catches for 720-yards and three touchdowns in about three months' time, but was suspended indefinitely in December for the 5th time in his career for violating the league’s substance abuse policy. That’s what makes Edelman’s 10-catch, 141-yard MVP performance that much more unlikely. The KNEW he was Tom Brady’s most likely target and still couldn’t stop him. So, congrats to Belichick, Brady, Edelman and the rest of the Pats, who are now tied with Pittsburgh for the most Super Bowl wins by a franchise at a half-dozen. With the passing of each year I become more convinced I will never see the Vikings win a Super Bowl. But, you know what? With the passing of this season (and Super Bowl LIII in particular) I don’t think the Super Bowl is that big a deal to me anymore... and that’s OK.
Just as long as the Packers don't win one.